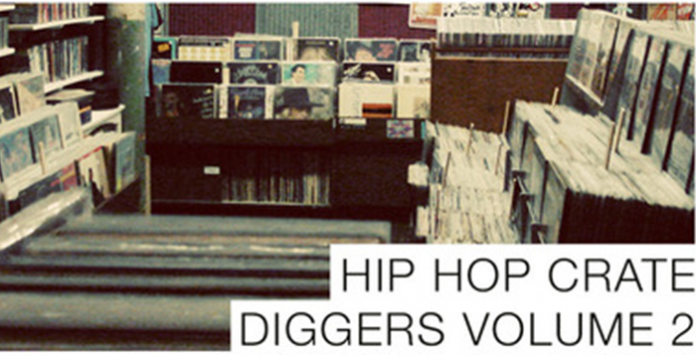 Hip Hop Crate Diggers Volume 2 sees the long awaited return of ‘Hip Hop Crate Diggers’ pioneer Rigglebeats to the Samplephonics roster. Freshly armed with a stunning selection of recorded gems and a newly purchased 1970’s Mark II Rhodes piano, Barney’s attention to detail and finely tuned ear for all things musical ensure his latest delivery is a true piece of musical mastery. With a nod to a soulful past but with a foot firmly grounded in classic hip-hop production, this divine collection houses some of the lushest rhodes progressions, the most vibing of baselines, epic cinematic string progressions and anything else you could possibly need to add a touch of class and style to your next musical composition. Taking off where he left it and harnessing a wealth of local musical talent, each music loop has been beautifully crafted providing a sense of analogue authenticity rarely found in modern productions. Whether it’s the smoothest of guitar licks, the dustiest of MPC drum breaks or the dreamiest of harp and string loops this pack guarantees to set you apart from any other beat crafter or composer. All sounds in this sample library are available to download and use in your productions 100% royalty free and suit a wide variety of genres, from Hip Hop, Trip Hop, Breaks, Chillout, Lounge, Funk, Soul, RnB and just about everything else in between. To perfectly round of this epic sample library Rigglebeats has also gifted us a plethora of musical one shots asking to be chopped and sampled in your next classic hip-hop break.